Shop our men’s leather suits. Fully CE certified and constructed from a premium and supple leather, the Atem Leather Suit is ideal for track or street use. With technologies developed and extensively tested in MotoGP, the Atem Suit fuses exclusive ergonomic styling and class-leading protective technology which results in a formidable performance riding suit. The Atem Two-Piece Suit is constructed from premium leather with extensive accordion leather and poly-fabric stretch panels to offer a compact and contoured performance riding fit while promoting excellent range of movement. 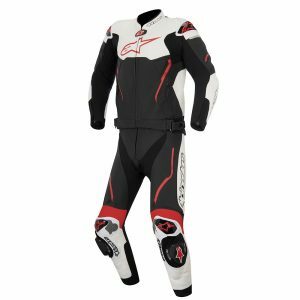 This comfortable suit features Alpinestars exclusive class-leading, CE certified and track-tested protection and is ideal for both track days or street riding. 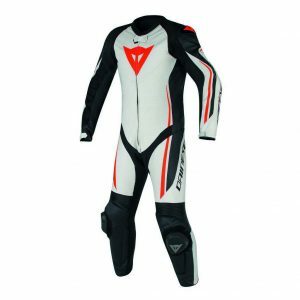 A versatile two-piece performance riding suit constructed from full grain leather for high levels of abrasion resistance and durability, the GP Pro 2 Piece incorporates track tested protective capabilities such as the Dynamic Friction Shield (DFS) protection and a perforated Moto-GP profiled hump for improved aerodynamics and comfort. With the possibility to upgrade to CE certified Nucleon back, chest and hip protection this premium two piece suit is ideal for performance riding. 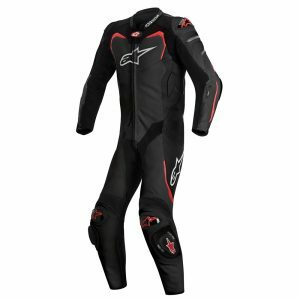 A premium full grain leather suit fully optimized for Alpinestars innovative Tech-Air Race airbag system. 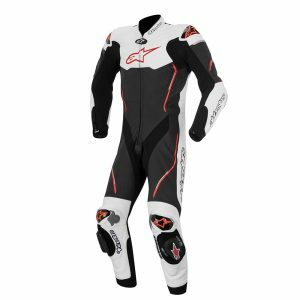 The GP Pro Leather Suit for Tech-Air Race® features an anatomical engineered design to ensure excellent comfort and performance fit for track days or serious road riding. Packed with class leading, track-tested protection inside and out, this ventilated leather suit is versatile and extremely comfortable. 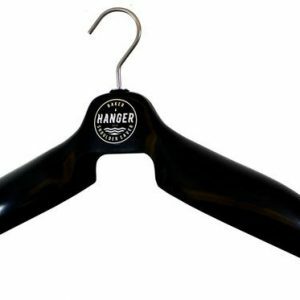 Its unique design means it can be equally effectively worn with or without the Tech-Air™ airbag system. Evolved to accommodate Alpinestars class-leading Tech-Air™ Race system and featuring innovative new external protection technologies, the GP Tech V2 Leather Suit is constructed from premium kangaroo and bovine leather for unsurpassed abrasion and tear resistance. Fully optimized for use with or without Tech-Air™, the GP Tech V2 incorporates aramidic and accordion stretch panels for an anatomically profiled racing fit. The suit incorporates class-leading internal protection as well as reinforced stitching throughout and strategic stretch paneling for the ultimate in high performance riding comfort, security and fit.